Chicago | Reuters — U.S. lean hog futures settled mostly lower on Monday as early support from a swine fever outbreak in Asia and a hurricane off the U.S. East Coast faded and the market retreated from three-week highs. Technical selling in the overbought hog futures market added pressure. “The market is running out of space to go higher on the African swine fever,” said Mike Zuzolo, president of Global Commodity Analytics. 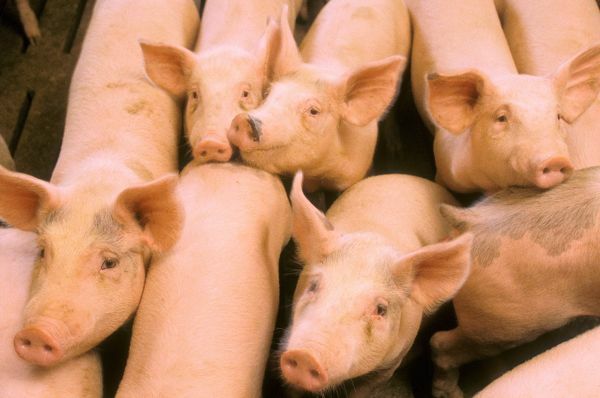 Fears about the spread of African swine fever in China, the world’s largest hog and pork producer, had supported futures prices over the past week. China reported another outbreak of the deadly disease on Monday. Japan, meanwhile, said it confirmed its first case of swine fever in 26 years, although it was different from the African swine fever in China. Still, the country suspended exports of pork. Chicago Mercantile Exchange (CME) October lean hogs ended up 0.3 cent/lb. at 55.95 cents (all figures US$). December fell 1.1 cent, to 55.7 cents. Support in the October contract stemmed from the approach of Hurricane Florence in the Atlantic as the storm could disrupt the hog industry in the Carolinas, traders said. The contract’s premium to the CME lean hog index limited gains, they said. Live cattle futures edged higher on technical and speculative buying. CME October live cattle rose 0.2 cent/lb. to 110.15 cents, holding support above its 200-day moving average. December cattle ended unchanged at 114.425 cents. Firm cash cattle markets underpinned futures. Cash cattle at southern Plains feedlot markets traded late on Friday at mostly $108/cwt, up slightly from the prior week, traders said. Feeder cattle futures ended mixed, with nearby prices held down by the market’s premium to the CME feeder cattle index. CME October feeder cattle ended down 0.275 cent at 152.675 cents/lb. November futures gained 0.15 cent, at 152.875 cents. — Karl Plume reports on agriculture and commodities for Reuters from Chicago.